A voter survey by non-governmental organisation Association for Democratic Reforms suggested disappointment with the government’s performance on key issues, including jobs, providing healthcare and drinking water. All top-three priorities had an average rating of 2.15-2.55, indicating below average performance. Other priorities include better roads and public transport, agricultural issues, and law and order matters. The government fared poorly on these indicators as well. The survey was conducted between October and December, 2018. It covered 534 Lok Sabha constituencies and 270,000 respondents participated in it. A total of 46.8 per cent of respondents put employment as their top priority. Another 34.6 per cent cited healthcare as the most important issue. Drinking water was third with 30.5 per cent. 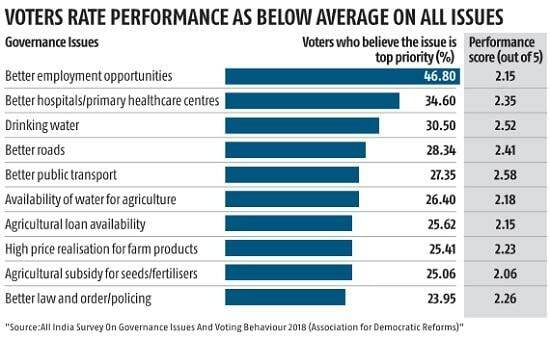 “The government’s performance score on the top-10 voters’ priorities is below average… On Better Employment Opportunities, which is the topmost voters’ priority, the performance of the government has been rated as one of the worst (2.15 out of 5),” the survey said. ‘Better Employment Opportunities’ as their biggest priority. A “strong defence/military” was a priority for 3.02 per cent of rural voters, while terrorism got 3.34 per cent. The percentage of urban voters who identified military issues and terrorism as key issues was 5.18 per cent and 4.1 per cent, respectively. Voters rated the government’s handling of both issues as below average. 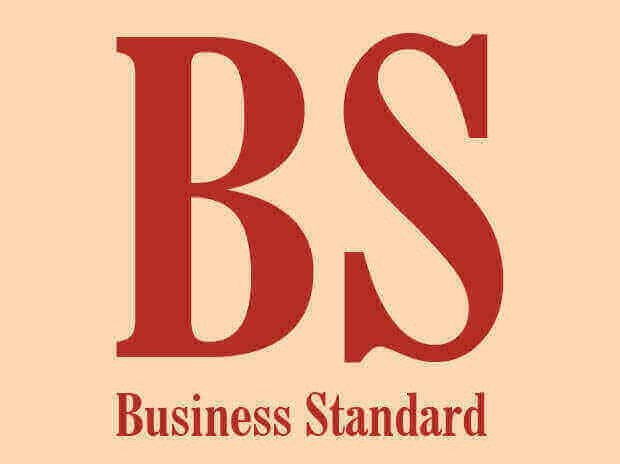 “It is quite clear from the top-10 Voters’ Priorities that Indian voters prioritise employment and basic amenities (healthcare, drinking water, better roads, etc) above all governance issues (including terrorism and strong defence/military),” said the report. The survey was conducted before the Pulwama attack on February 14, 2019, when a vehicle laden with explosives killed 40 Central Reserve Police Force personnel. The incident led to escalation in tension between India and Pakistan, which included military action, raising tension in the region. Some observers have suggested that this has changed the perception of the government favourably. Agricultural issues account for four of the top-10 list of priorities. They include issues related with availability of water, agricultural loans, prices and subsidies. “The situation on the ground is that voters think agriculture is in a bad state. They feel it is important for the country for the agriculture sector to be in a better state,” said Jagdeep Chhokar, Founder Member of the Association for Democratic Reforms and National Election Watch.